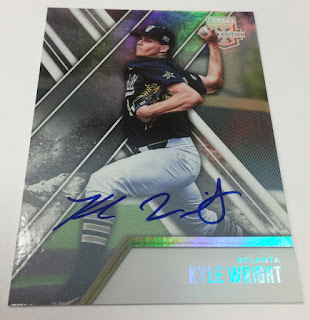 Still bolstered by the bold redesign and reconfiguration of the brand last season, Panini America’s prospect-powered Elite Extra Edition Baseball ($94 with 8 Autos & 2 Memorabilia per box) brand its about ready for its second season with its new-and-improved look — and once again this year, the product is brimming with key base cards, autographs and memorabilia from the brightest stars of baseball’s future. Set to arrive at Sports Cards Plus on Wednesday, 2017 Elite Extra Edition Baseball returns with its typical high-value, high-upside formula that features, on average, EIGHT autographs (including ONE Silhouette Signature autograph memorabilia card) and TWO memorabilia cards in every hobby box, on average. 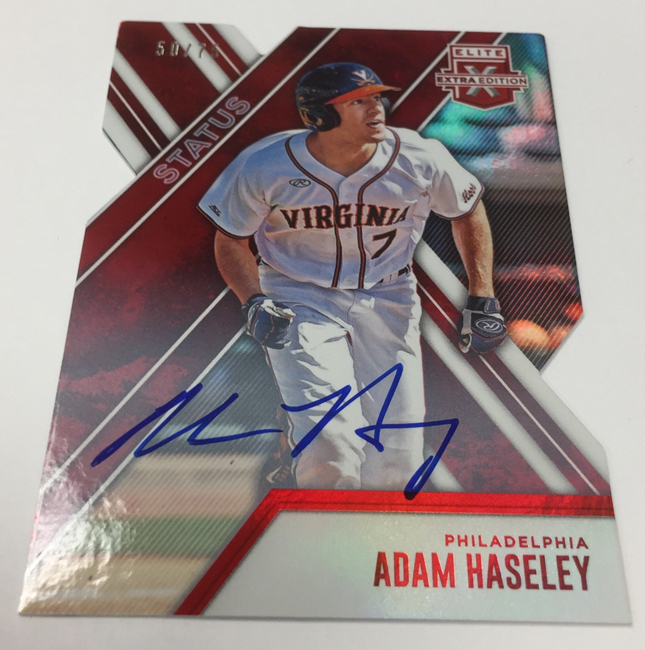 Longtime EEE devotees will appreciate the large selection of hard-signed cards in this year’s release, including on-card base autographs from the top picks in the 2017 draft. 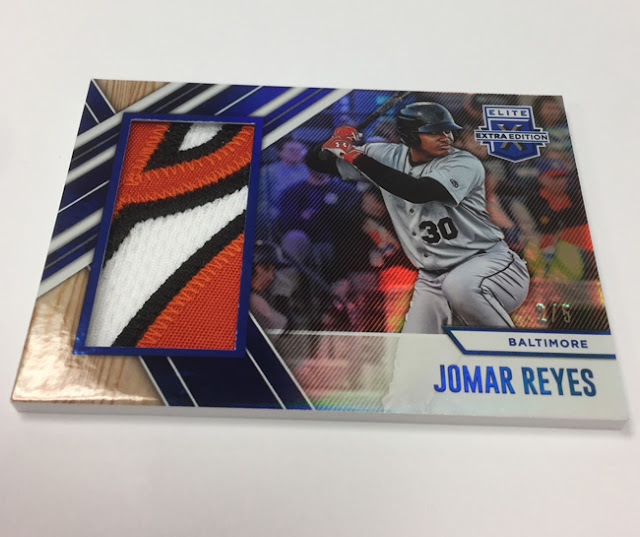 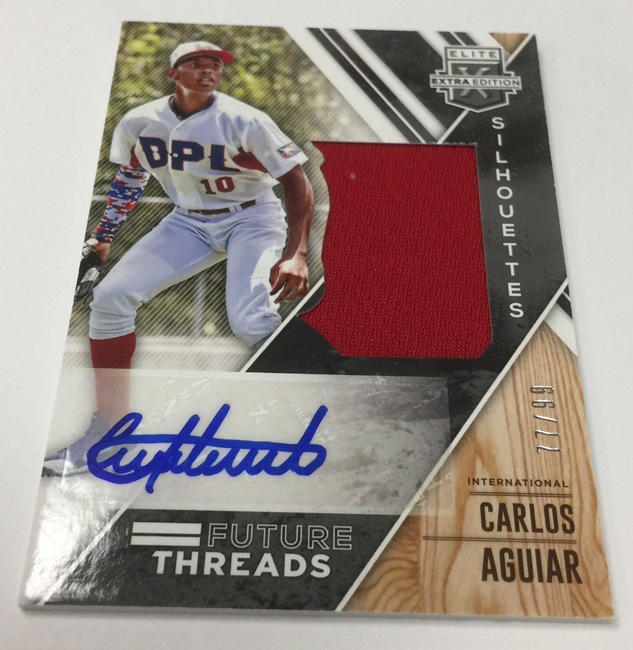 The product also takes advantage of Panini America’s exclusive partnerships with USA Baseball and the Dominican Prospect League with key autograph and memorabilia content.